Each house is handcrafted and built to withstand the test of time on your lawn. 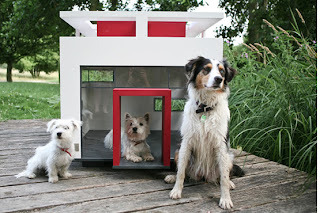 While we were immediately drawn to the little red country-styled Lönneberga, we did love the Hundehütte Cubix's modern take on the traditional dog house. Sure, they're expensive (the small versions of each house range from 1900-2700 euros). 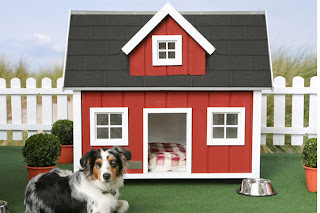 But if you're going to be shelling out several grand for your doggy mansion, what's a few extra bucks for shipping? ... Because what dog doesn't need a backpack? 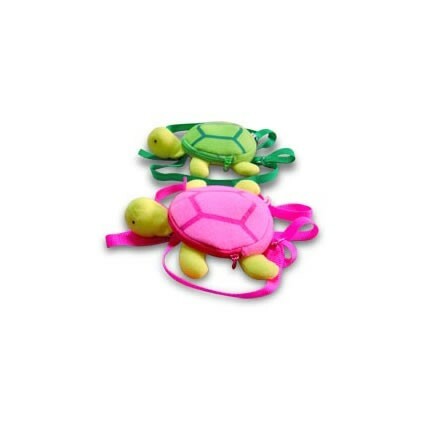 ... Because these are so cute they will make you go "aww" out loud? ...Because is it fair for you to have to haul your dog's stuff around all the time? 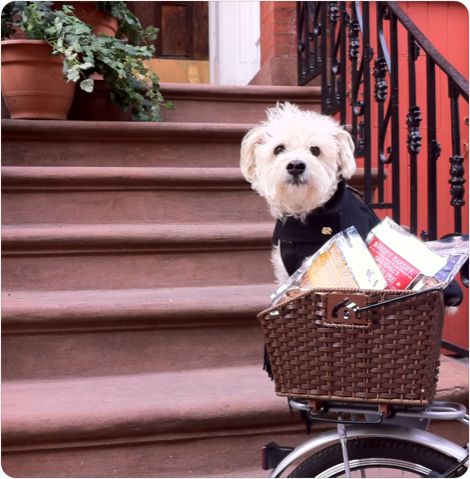 ...Because what is more adorable than a little dog with its own backpack? 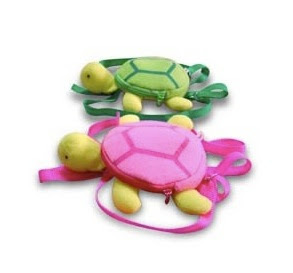 Available in pink or green from UpscalePup for $18.99. Day in the Hamptons: This invigorating concoction of rosemary, black pepper vine, finished with the freshness of spearmint and basil essential oils will take you and your pooch to sunny summer days! Fart & Away: This Intense fragrance combination was developed not only to deodorize, but to actually ease the cause of your dog’s unpleasant condition. This mix of floral ylang ylang, tuberose, white tea, myrtle & fennel will take care of it all! Field of Dreams: Based on lavender known to ease stress, this blend is softened by the sweetness of amber mixed with some earthy notes of vetyver anchored with rich sandalwood. A special scent to help your friend relax, drift off and dream. Splendor in the Grass: Specifically formulated for the city-dweller, or any pet with limited park time. 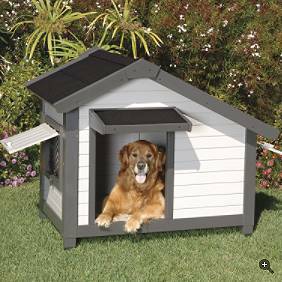 The smell of a fresh-cut lawn, hints of hay, an earthy blend of tomato leaves with undernotes of cedarwood tree is sure to bring the outdoors inside. Friends to the Rescue: Offensive to your pet’s pests, this mixture of lemongrass, eucalyptus and grapefruit held together by geranium, cyprus and ginger with a finish of mangosteen will keep the little critters at bay. Available for $28 each directly from Sniff's website or as a set of 5 for $138; a portion of sales are donated to animal rescue groups that work with NYC's Animal Care and Control department. While we can't vouch that your dog will love any of the scents-- you have to admit, they all sound pretty good! 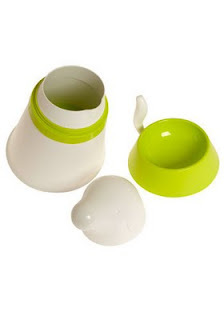 This dog food storage system keeps dinner adorable, and your counter looking chic! Simply unscrew the head to safely store kibble or treats. The removable base features a tail-adorned serving bowl. Pick yours up from ModCloth for $34.99. We love Louis Dog's exquisite doggy clothes... in fact, "lovely" is exactly the way we'd describe it. If only they didn't have to screen weird catch-phrases on their clothes.... Sigh. 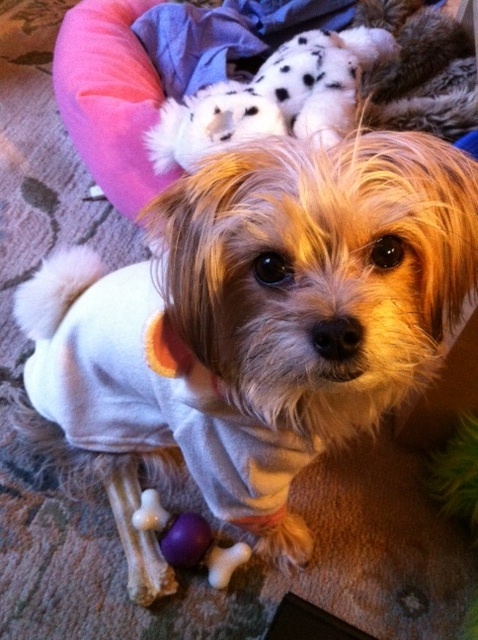 This beautiful knit and faux-fur coat can be yours for $88 from UpscalePup. 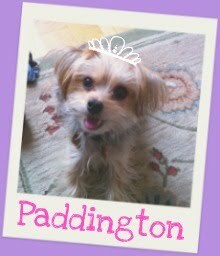 When it comes to cuteness, the Barkistas are ALL OVER it. 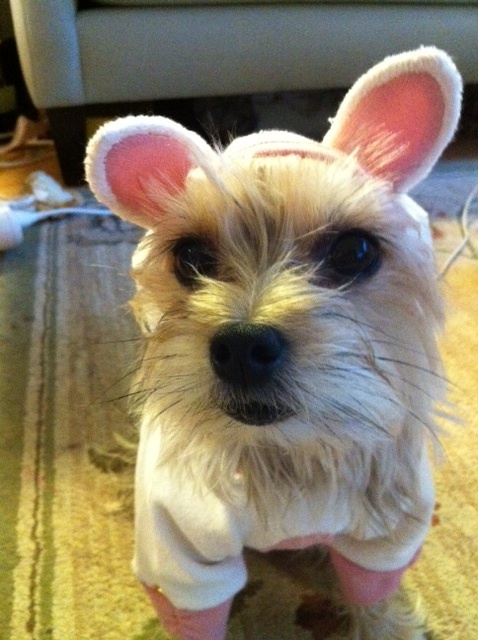 Thanks to Juicy's Bunny Hoodie, we've transformed Paddy into a little spring bunny! We think the tail that Paddy was born with is pretty darn adorable, but LOOK at that bunny tail! Even better, the hood has a pair of ears on it. Like all things Juicy, this spring number is constructed from quality materials (cotton terry) and finished well. The front sleeves are three-quarter length and trimmed with ruched pink cotton. Juicy's logo is stitched in gold on the back, but it's not ostentatious at all AND there is an harness opening (yay!). 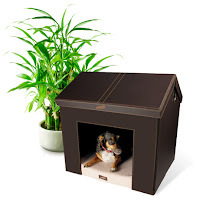 Available in small-dog friendly sizes from Juicy's website for $45. With Easter around the corner, we've been on the hunt for the perfect treats to spoil our favorite Chef Barkzilla tester with. Easter baskets have long been a tradition in our family, and of course we wouldn't dare forget the Morkie! Though we normally go low-budget (check out our under $10 spring picks from Petco), while tinkering around online, we stumbled upon Bubba Rose's Easter Treat Basket. 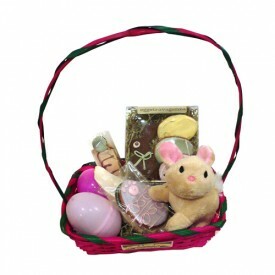 Each wicker basket comes filled with a plush toy (bunny or sheep), 2 plastic eggs filled with 12 assorted cookie jar treats each, 1 decorated carrot cookie, 1 decorated large Easter egg cookie, 1 box of their decorated Eggstravaganza treats,and 1 lamb's ear long lasting chew. 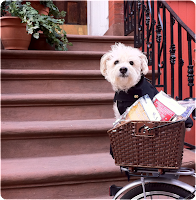 Larger baskets suitable for bigger dogs (or sharing amongst multiple pups) are also available. Based out of NJ (yay, our home state), Bubba Rose's treats are made with organic and natural ingredients and are free of wheat, corn and soy. Handmade in small batches, they use locally sourced human-grade ingredients from the U.S., and are free of chemicals, sugar, salt, artificial flavors, colors and fillers. If the Bubba Rose Easter Basket isn't in your budget, check out their other baked Easter treats here! 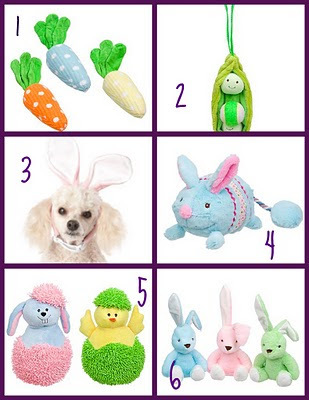 What Easter traditions do you and your pup share? You see, the funny thing is: we'd actually totally buy this product. Fact: we’re pretty sure that doing stuff for others in need is good for your health. 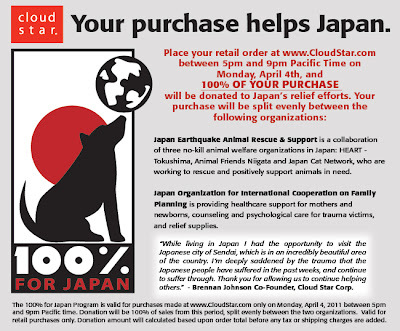 So, mark your calendar now and stock up on Cloud Star’s delicious Soft & Chewy Buddy Biscuits (see our review here), help the relief effort in Japan, AND make your pup happy all with just a few clicks! * Total proceeds will be divided evenly between the two groups. Oh yeah, Happy April Fools Day.